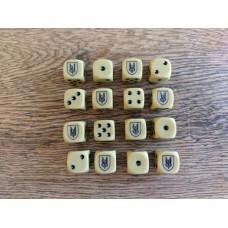 A Set of 16 - British 7th Armoured Division Desert Rats Dice (16mm). 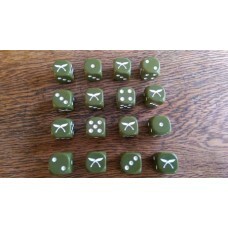 These..
A Set of 16 - WW2 Dice - British Commando Dice (15mm). 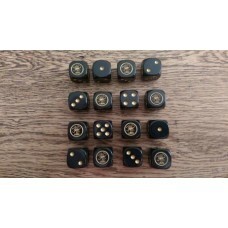 These custom desig..
A Set of 16 - WW2 Dice - British Commonwealth 6th Australian Division Dice ..
A Set of 16 - WW2 Dice - British Commonwealth 7th Australian Division Dice ..
A Set of 16 - WW2 Dice - British Commonwealth 9th Australian Division Dice ..
A Set of 16 - British Commonwealth Gurkha Dice (16mm). 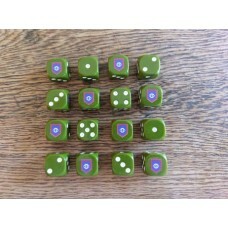 These custom design..
A Set of 16 - WW2 Dice - British Commonwealth New Zealand Dice (16mm). 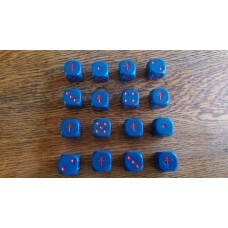 The..
A Set of 16 - WW2 Dice - British Guards Division Dice (16mm). 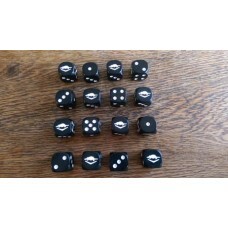 These custo..
A Set of 16 - WW2 Dice -British LRDG Logo Dice (16mm). 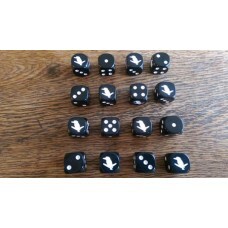 These custom design..
A Set of 16 - WW2 Dice - British SAS Dice (16mm). 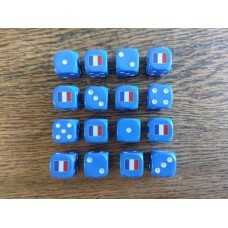 These custom designed d..
A Set of 16 - WW2 Dice -Free French Cross Dice (16mm). 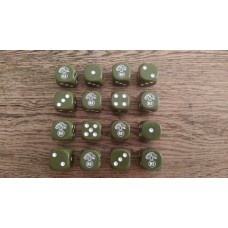 These custom design..
A Set of 16 - WW2 Dice - French Foreign Legion Dice (16mm). 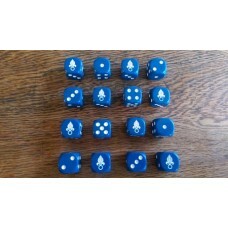 These custom d..
A Set of 16 - WW2 Dice - Generic Canadian Maple Leaf Dice (16mm). These cu..